If you’ve been paying attention to your app updates (as I know you’ve already downloaded the game, right?) 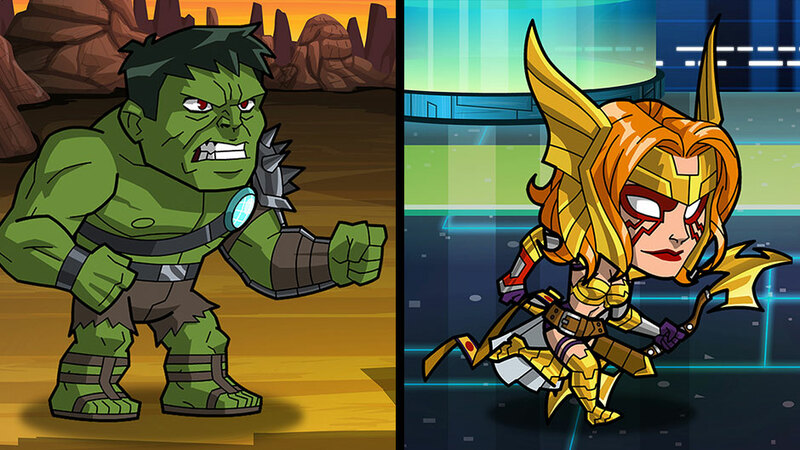 for Guardians of the Galaxy: The Universal Weapon, you’ll find two new characters to recruit into your roster of Guardians: Angela and The Incredible Hulk in his “Planet Hulk” Gladiator garments. This marks the first time Angela is a playable character in any video game. Previously she took a supporting role in Spawn: The Video Game for SNES, but sat out every other Spawn game due to an ongoing dispute over the characters rights.